Please complete the form below and your enquiry will be sent directly to Hondelewe - Canine First Aid & CPR Training via email. 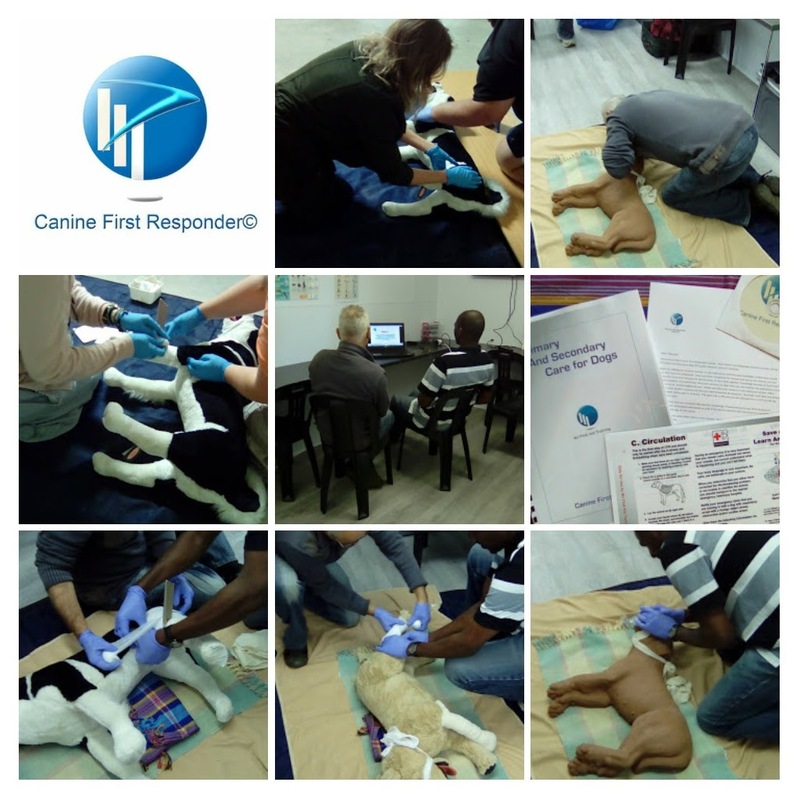 Your enquiry has been sent to Hondelewe - Canine First Aid & CPR Training. The only authorised Instructor for the Canine First Responder Course™ in South Africa. The Canine First Responder (CFR) Course™ teaches you how to respond in an emergency situation involving your dog(s) until veterinary help can be obtained. The CFR Course is the only canine first aid course accredited by Emergency First Response, one of the largest international CPR, AED and first aid training organisations. The CFR Course was developed, and is supported and certified, by MJ First Aid Training in the United Kingdom. Successful participants will be issued a two-year certificate that is renewable upon successful completion of the Canine First Responder Refresher Course™. Emergency First Response accredited courses have widespread international acceptance. 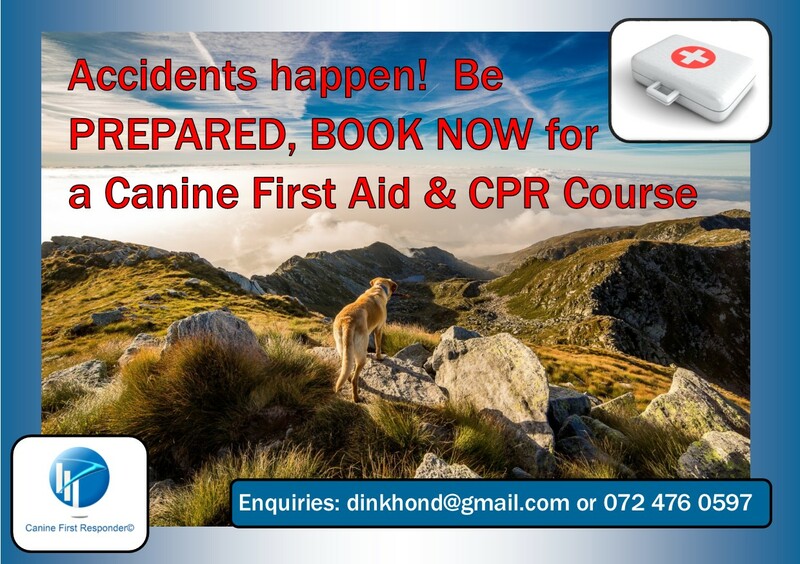 The Canine First Responder Course™ is available on demand (weekends only) at venues in Napier and Stellenbosch in the Western Cape, South Africa. 1 – 6 participants max. Email or call for a course brochure. IMPORTANT: Any first aid administered to your dog should be followed by immediate veterinary care. First aid care is not a substitute for veterinary care, but it may save your dog’s life until it receives veterinary treatment.